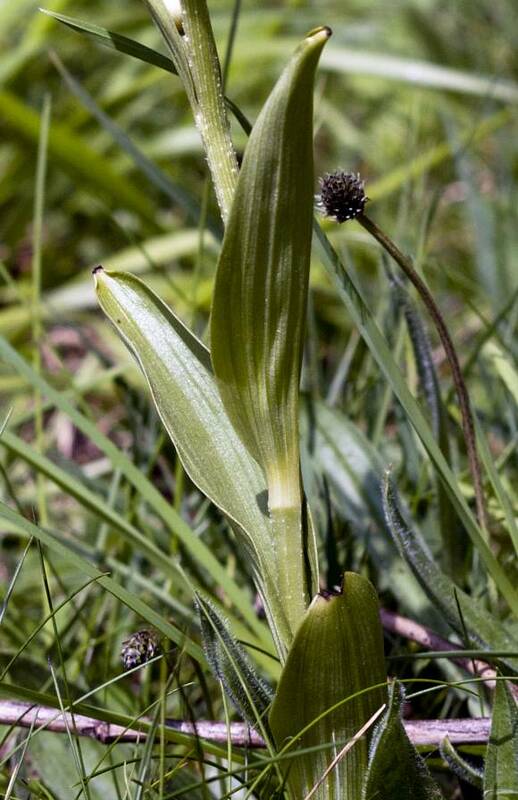 A robust plant up to 60cm tall. 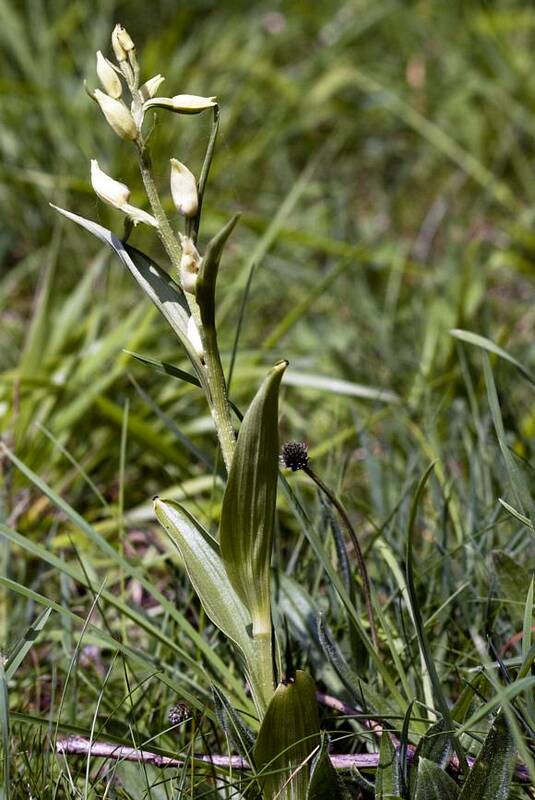 With glaucous bluish-green leaves which peel off the stem at alternate intervals in two opposite rows: broad lanceolate ones near the bottom and progressively narrower ones nearer the top. Grows in Beech woods with little ground cover on chalky or limestone soil. Only occasionally found out in the open on downland. Up to 16 cream to white flowers, rarely fully opening, and unusually, all pointing skywards. When open an orange/yellow lip is visible which, unlike most orchids, does not split into three (not shown). This yellow end part of the lip, the epichile, gives rise to its folk-name 'Poached-egg Plant' and seems to attract insects - being often nibbled away. Short leaf-like bracts inhabit the upper stem and amidst the flowers. 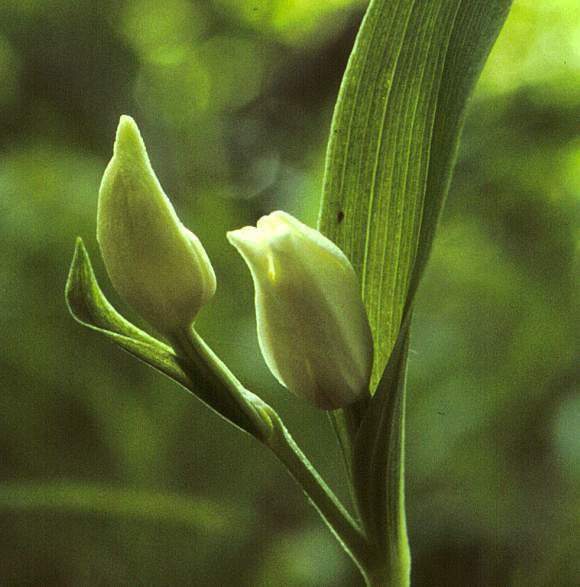 The ovary, in Orchids the stalk of the flower, is unusually not twisted but still deeply grooved. Leaves are oval and ribbed. 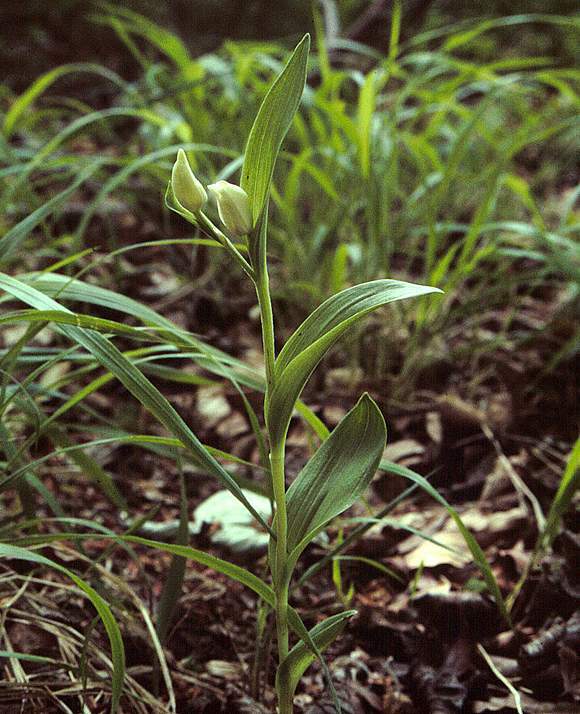 Easily mis-identified as : Narrow-Leaved Helleborine, which is more graceful, has narrower leaves, with whiter flowers and a diminutive orange spot on the single lower lip. 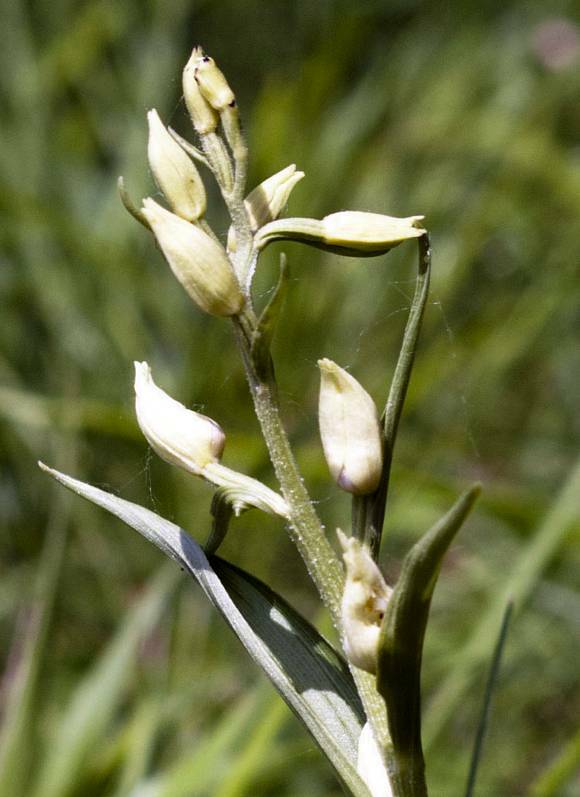 Some similarities to : Lesser Butterfly-Orchid, Greater Butterfly-Orchid or any Lady's-Tresses which are all white flowered plants belonging to the Orchid Family. 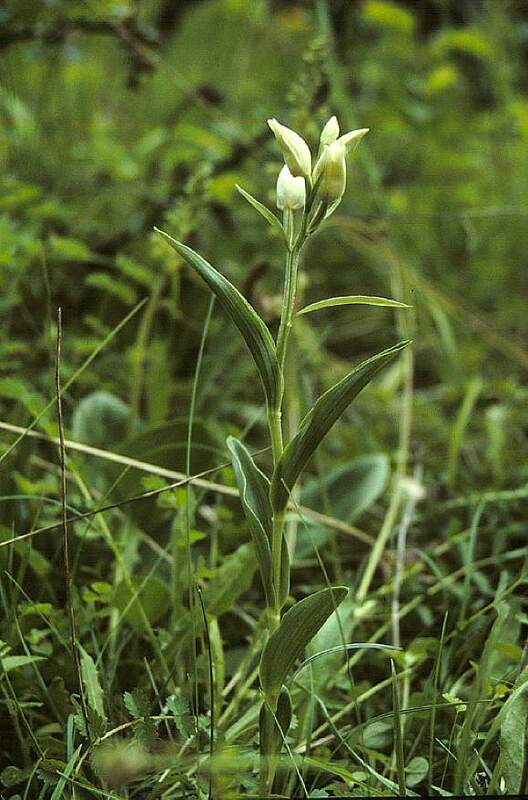 Hybridizes with : Narrow-Leaved Helleborine (Cephalanthera longifolia) to produce Cephalanthera × schulzei, but which only occurs east of Bournemouth. No relation to : Hellebore s such as Stinking Hellebore, Lenten-Rose, Green Hellebore or Corsican Hellebore [plants with similar names].